Andrew R. Friedman was born August 13, 1956 in Hartsdale, New York; admitted to the Florida Bar in 1984 and the Kentucky Bar in 1998. 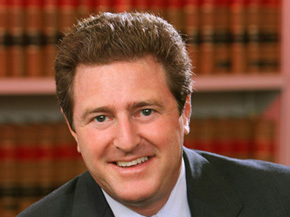 Mr. Friedman graduated from New England School of Law (J.D., 1984) and Columbia University (B.A., 1978). Mr. Friedman is a member of the American Bar Association’s Forum Committee on Franchising, the Business Law Section of the American Bar Association, the Business Law Section of the Florida Bar, the Business Law Section of the Kentucky Bar Association, and the Fayette County Bar Association. Mr. Friedman is a frequent lecturer at the Lexington Area Small Business Development Center. His practice areas include business law, franchising, licensing, distribution, contract drafting and negotiation, and mergers and acquisitions.